At least one member of the state’s trade delegation who helped negotiate the deal—a gas industry executive—was also working to help his private company on the trip. Donald Trump (L) and China&apos;s President Xi Jinping leave a business leaders event at the Great Hall of the People in Beijing. 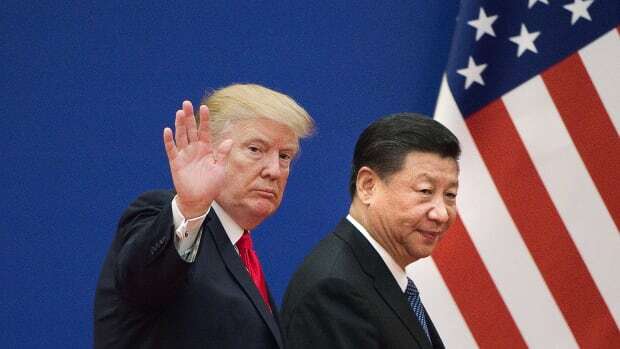 Last November, President Donald Trump and Chinese President Xi Jinping looked on in Beijing as officials from the state of West Virginia and a Chinese energy company signed what was hailed as a landmark deal for the state. 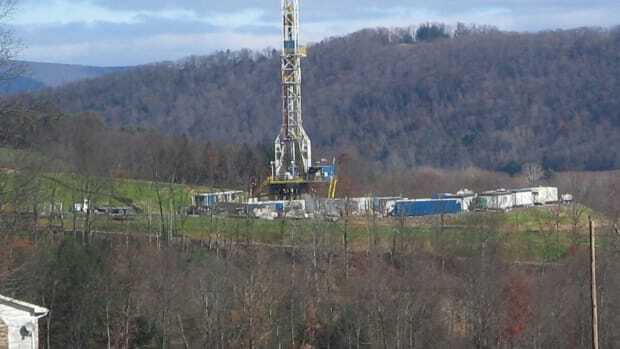 Under the deal, China Energy Investment Corporation would invest more than $80 billion over the next 20 years in West Virginia&apos;s natural gas industry. 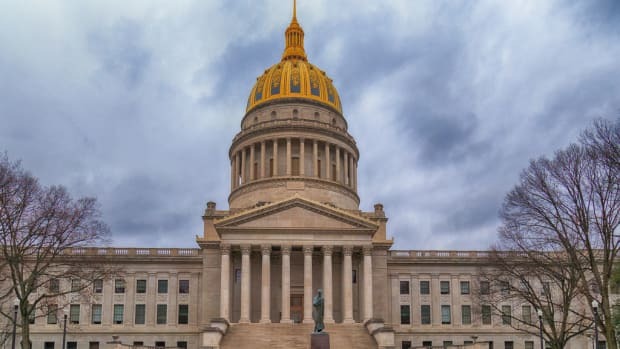 West Virginia Governor Jim Justice and other state leaders have been banking on the China deal, predicting it would create tens of thousands of additional jobs in the state. It was also described as a victory for Trump, the largest in a series of Chinese investments in the United States that totaled $250 billion. But recently, Justice revealed that an ethical cloud has appeared over the China deal: At least one member of the state&apos;s trade delegation—a gas industry executive—was also working to help his private company on the trip. Brian Abraham, the governor&apos;s general counsel, said the state was "using someone who probably shouldn&apos;t have been involved in the negotiations" as part of its trade delegation. "People that were there in China maybe representing their own special interests, we didn&apos;t think was right," the governor added. West Virginia officials are eager to see the fruits of the China Energy investment, as a cornerstone to the natural gas industry&apos;s continued growth in the state. But along the way, some lawmakers and watchdogs are questioning whether the state is putting the industry&apos;s interests ahead of public concerns in attempting to broaden the state&apos;s economic base. This year, ProPublica is partnering with the Charleston Gazette-Mail to examine those issues. During a recent press conference, neither Justice nor Abraham would name the individual or his company. In an interview, Abraham later confirmed that the individual was Steven B. Hedrick, who is chief executive officer of Appalachia Development Group LLC. and also chief executive officer of the Mid-Atlantic Technology, Research, and Innovation Center, or MATRIC, a non-profit that partners with various industries on research and development efforts. 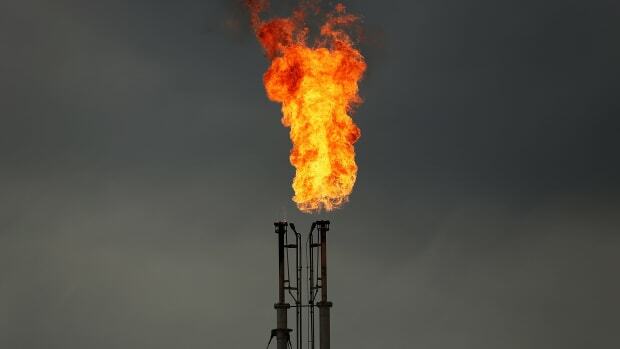 Appalachia Development Group has been seeking a loan guarantee from the U.S. Department of Energy as part of an effort to build a natural gas "storage hub" for various natural gas liquid byproducts that can be used in manufacturing. Abraham said the state commerce department paid for Hedrick&apos;s travel for the China negotiations because it considered him, effectively, an acting state official, part of a special commerce department program in which certain executives are "loaned" to the state. The governor&apos;s office, though, discovered later that Hedrick had not joined the program and when asked to do so after the trip, he declined, Abraham said. Had he joined the program, Hedrick would have been required to sign an agreement to abide by the state ethics law&apos;s prohibition on using public office for private gain. "Why is this person behind the curtain at commerce if they&apos;re an individual on the outside?" Abraham said. "That created an ethical dilemma." Also, Abraham cited one incident in which state officials were later told Hedrick asked China Energy officials to specifically target some of their investment toward his company&apos;s natural gas storage hub. Abraham said that, during one trip, Hedrick stayed behind an extra day and pitched his project to China Energy after others from the state had left. 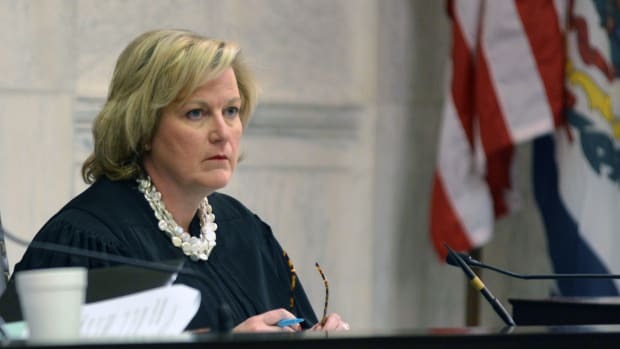 Abraham said that Hedrick was asked to repay the state $23,000 in travel expenses, and that the repayment had been made. A spokeswoman for Hedrick said he was not available for comment, but she issued a short statement via email that said Hedrick was "grateful to respond to the request of the state of West Virginia to support the commerce department’s mission to attract business to the state." The statement said that MATRIC "promptly paid any expenses invoiced by the state." Though officials signed a memorandum of understanding in China, the state has refused to release the text of the agreement and few details have been made public. 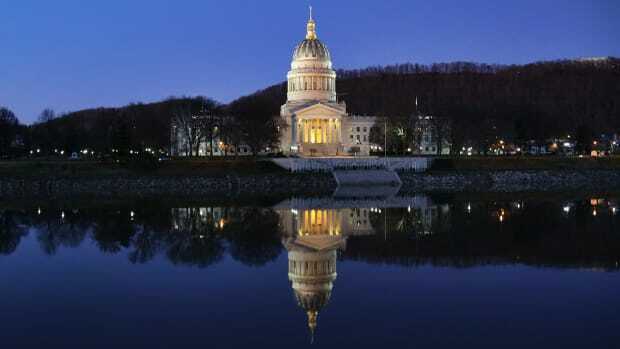 Both the China deal and the natural gas storage hub are considered by many state officials as key and related economic development projects for West Virginia&apos;s future. The state&apos;s natural gas industry has already greatly expanded, and backers of the China deal say it will provide huge amounts of capital that could fund processing plants, pipelines, and other facilities that will turn natural gas byproducts into crucial ingredients for a wide variety of plastics manufacturers. These kinds of "downstream" developments will allow West Virginia to capture far more jobs and economic growth than just drilling for gas and shipping it out of state. The revelations about the China deal came just one day after Justice asked for and received the resignation of state Commerce Secretary Woody Thrasher, whose agency bungled the state&apos;s implementation of a federally funded flood-relief program. Thrasher was the top state official who traveled to China last November as part of the trade delegation. 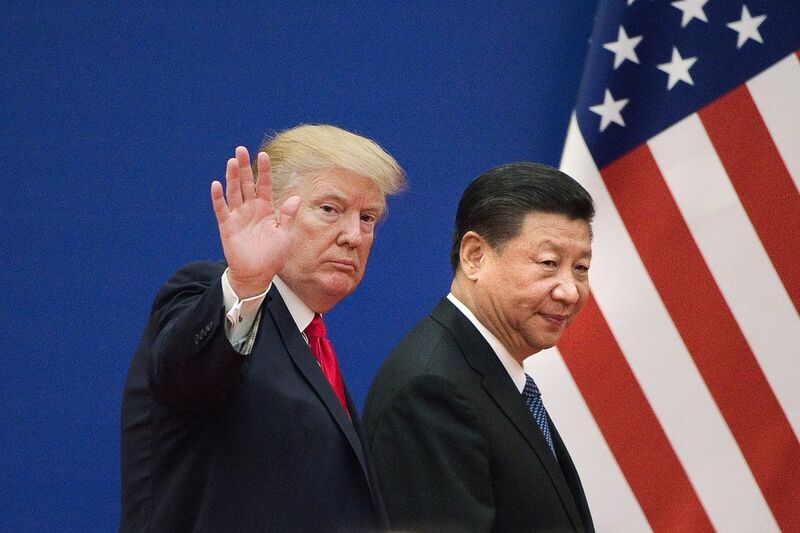 Justice said that discussions toward realizing the Chinese natural gas investments are ongoing, and repeated his earlier statements that the deal "came into being" because of his personal friendship with Trump. This post originally appeared on ProPublica as "West Virginia Paid for a CEO to Go on a Trade Delegation to China. Turns Out, He Was Promoting His Company&apos;s Interests, Too." and is republished here under a Creative Commons license.